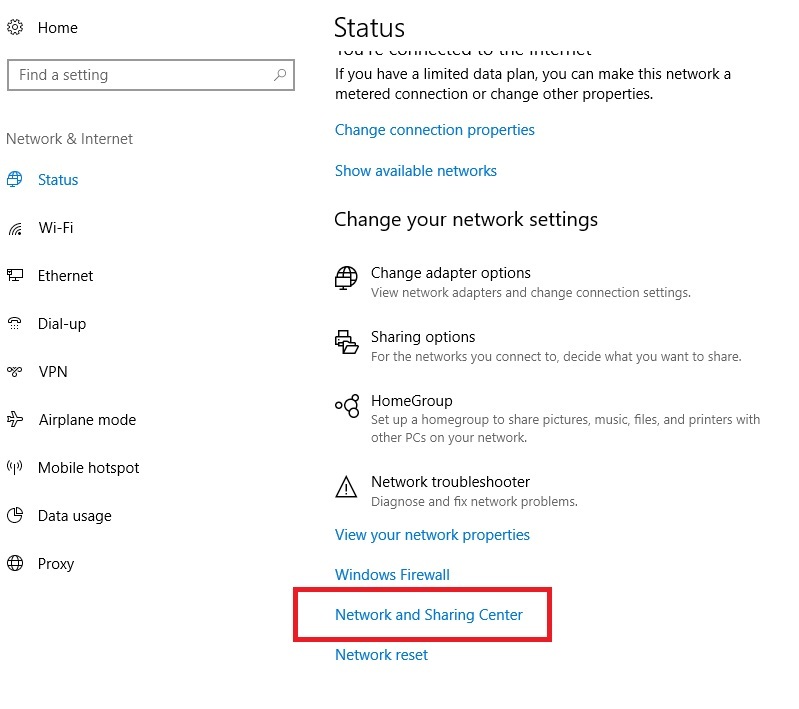 If you are reading this post then reasonably you are facing ERR_CONNECTION_RESET issue on your pc or other devices. This error appears on web browsers while accessing web pages. Recently I was surfing and faced the same problem, and I found few methods to solve this issue. I am sharing those methods with you so that you can also get rid of ERR_CONNECTION_RESET problem. This is one of the most common error that people face while accessing any webpage or site. This is really frustrating when we try to do some work and have to go through these type of errors. And now you don’t have to worry anymore about these issues. Because we have some simple ways to avoid errors like err_connection_reset (This page is not available) and more. The problem can occur due to change in Internet settings or maybe change in the system settings or files. Sometimes the settings get changed automatically through antivirus and files that have permissions. So let’s fix the ERR_CONNECTION_RESET problem with best methods. Antivirus can also be the reason to cause err_connection_reset problem. Antivirus can change your system settings that are used by the Internet to access web pages. If you have any antivirus installed on your system including the pre-installed antivirus, then disable them. This is the easiest and basic method that you should follow first. You all have different antivirus so the procedure to turn off or disable will also be different. But the common way to turn off is that open your antivirus. And then go to settings and turn off the Protection. This will completely disable your Antivirus and enable after surfing the internet. 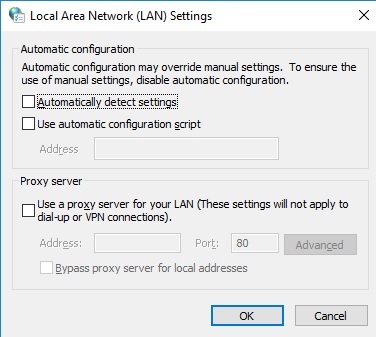 As I mentioned earlier that ERR_CONNECTION_RESET can occur due to change in settings like IP address, proxy server address and many more. These settings get changed automatically and cause this error, so it is better to turn off the automatic detect settings option. Let’s see how to turn off Automatic detect settings. 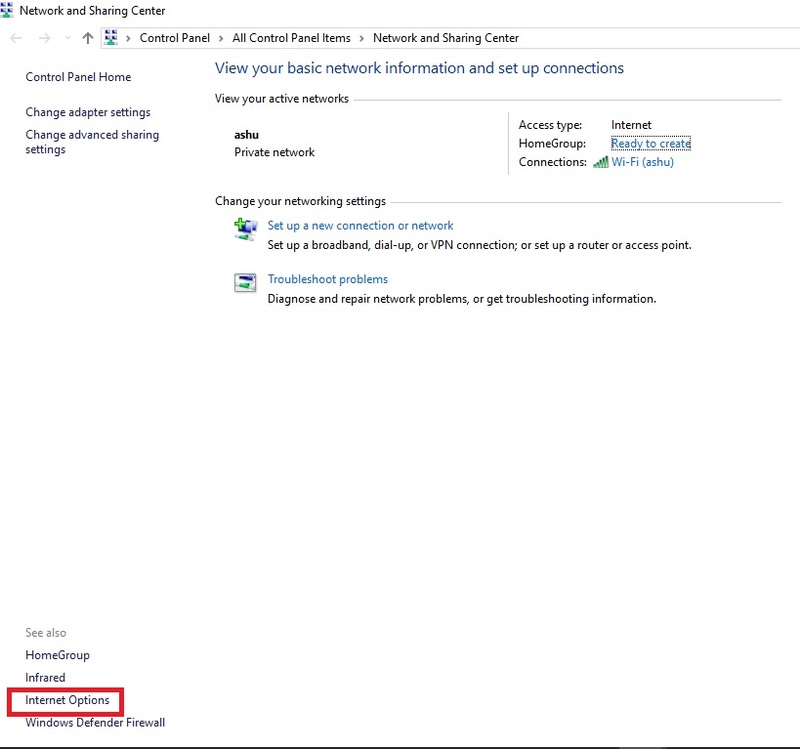 Open settings on your PC. In settings go to Network & Internet option. Now open Network & Sharing center from below. From Bottom left corner click on Internet options. Or directly search for Internet Options on the search bar. 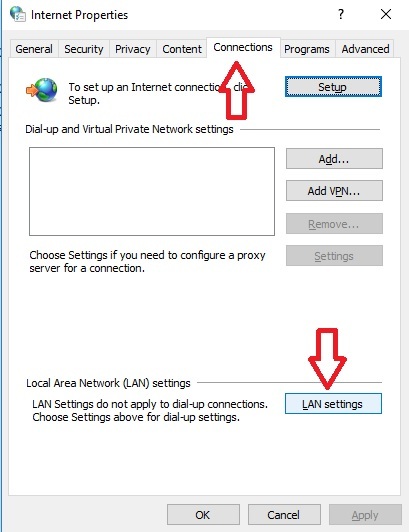 Under Internet properties go to Connections tab and then click on LAN settings. Now uncheck all the fields and click on OK.
After changing these settings you will not face err_connection_reset problem anymore. but even though if it didn’t work in your case follow next method. 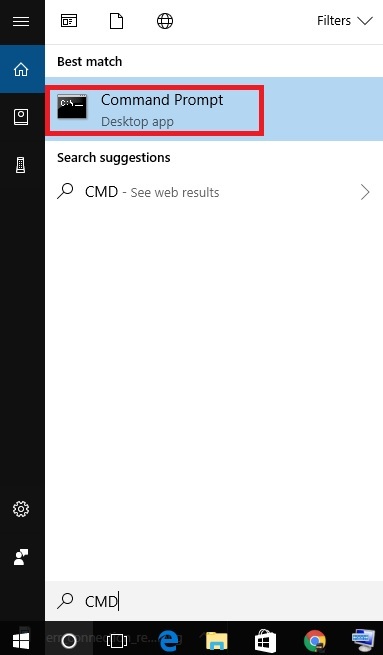 Search for CMD, Right click on cmd and Run it as an administrator. After the restart, the problem will be fixed and you can surf and access web pages without err_connection_reset. Windows Registry entries can also affect the settings and lead to err_connection-reset error. In PC or other systems old and not-required windows registry entries are stored. So removing them is the wise the option to remove err_connection_reset issue. Now the question appears is how to remove these unnecessary windows registry entries. Let’s see how to do it. Note: Do not remove all the Windows registry entries. It will affect your System. You can remove all the old and error windows registry entries via CCleaner, Remo Optimizer or other tools. Download and Install Remo Optimizer software on your PC. Open the Remo Optimizer. It will automatically start scanning your pc. After the scanning process, It will show all the unnecessary and junk files and Windows Registry entries. Select all the unnecessary Windows Registry entries and click on Continue. Then click on Fix issues and wait. After deleting and repairing files and entries it will show the list of the work. This is the example of Remo optimizer you can also use other software as well. That’s all on this topic, I hope your problem has been solved with these methods. If this was helpful to you feel free to share with others who are getting the err_connection_reset problem.